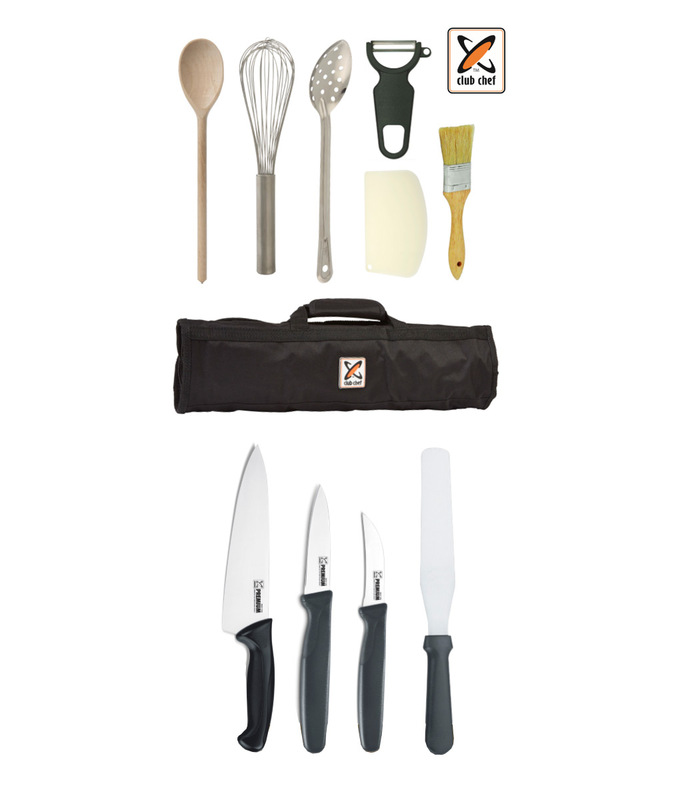 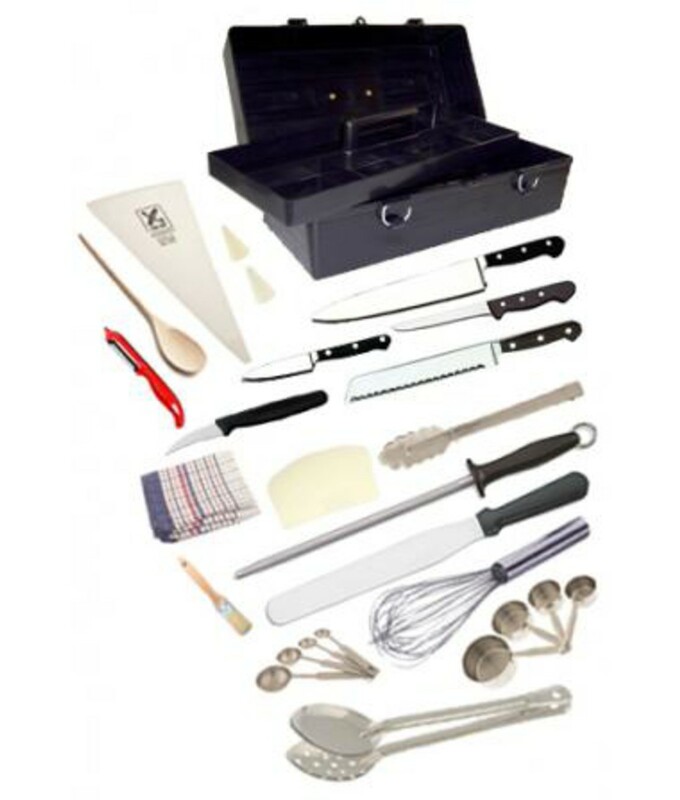 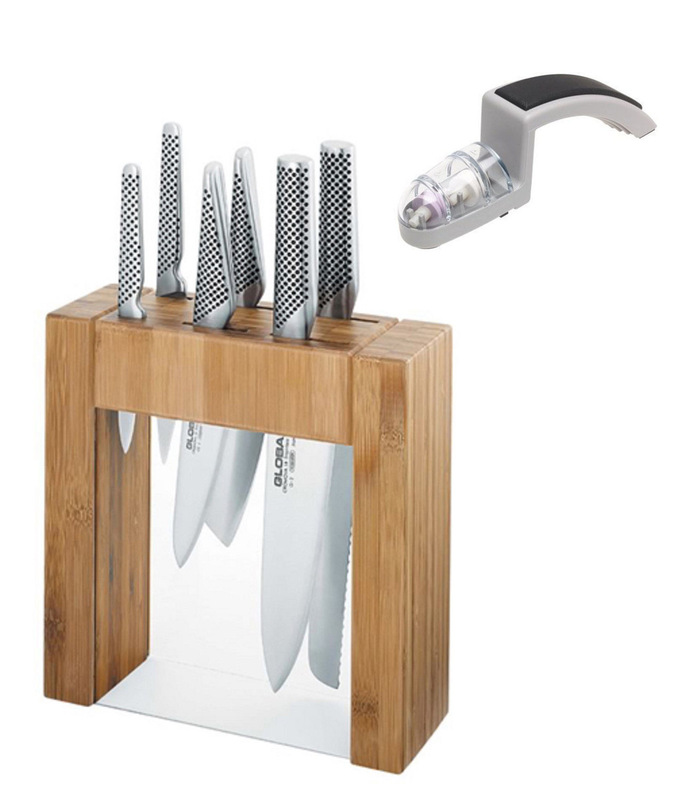 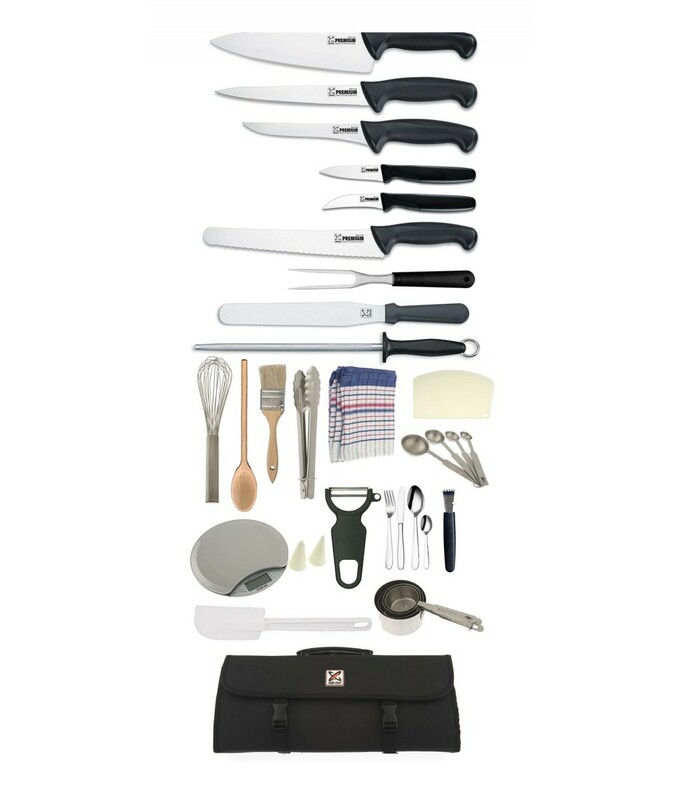 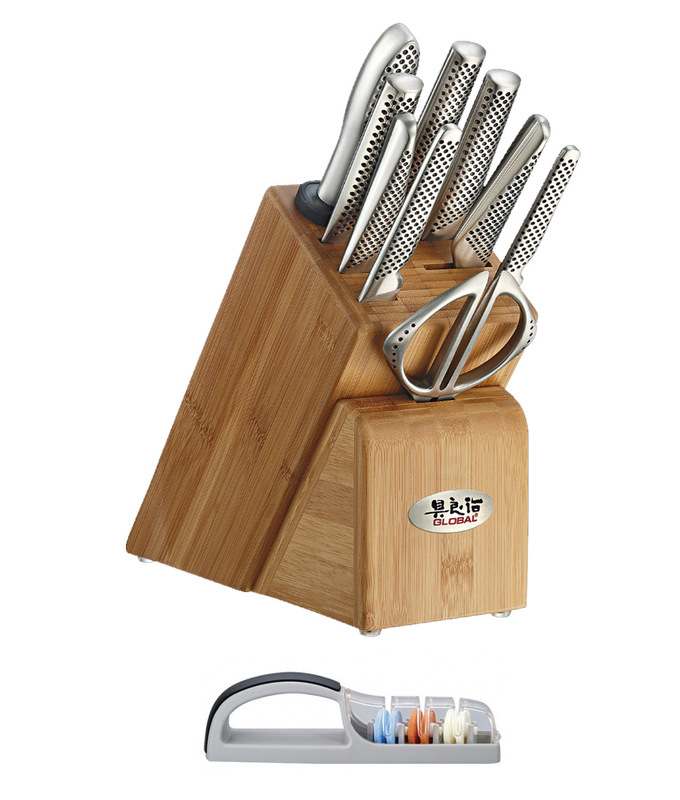 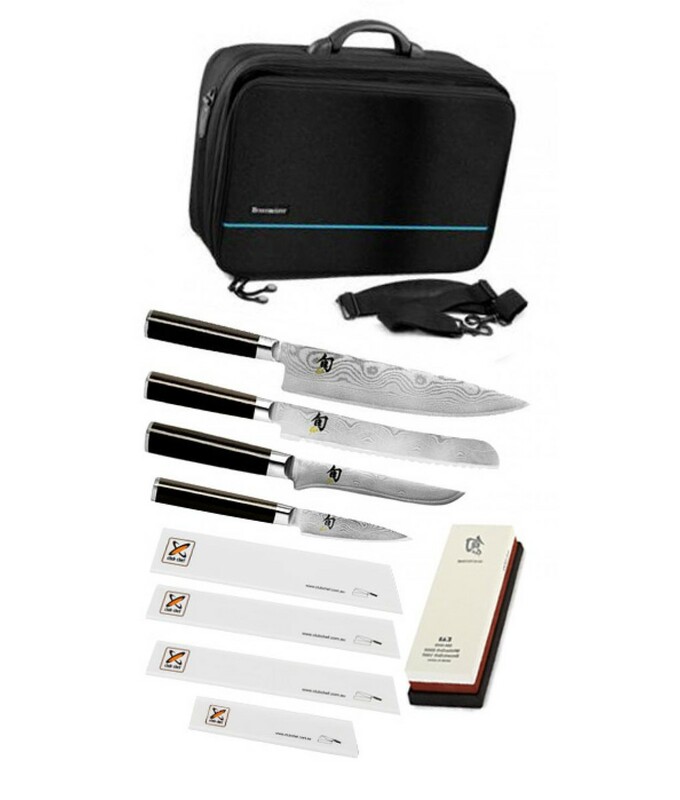 Containing German steel knives, our Premium Starter Kit is ideal for students looking for a high quality equipment kit at a budget.price. 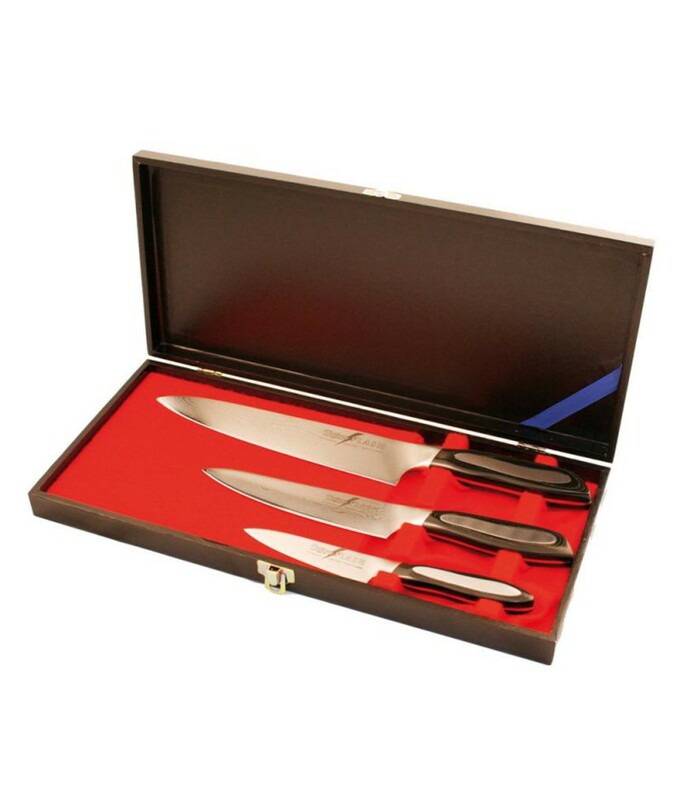 If you are purchasing in bulk for a class set please contact us for a special bulk price. 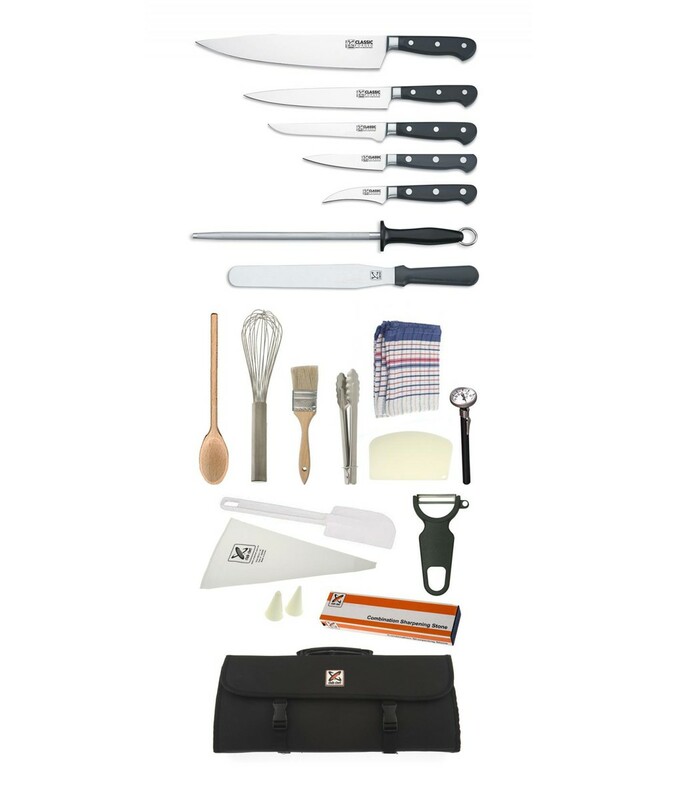 Club Chef 8 Piece Roll Bag – lockable via pad lock (sold separately).